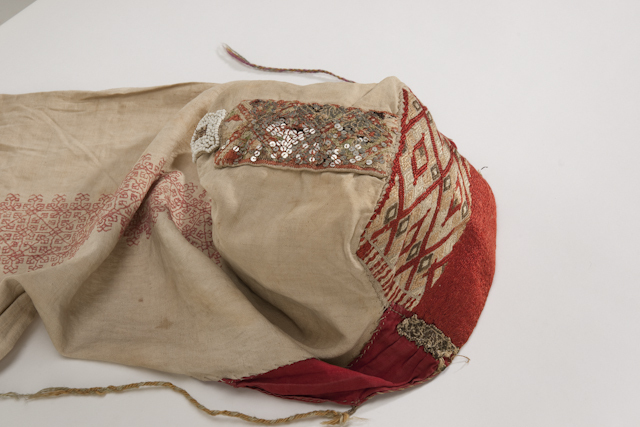 This is the last of my postings on the costumes of Ingria, with an insight to how the sarafan developed. 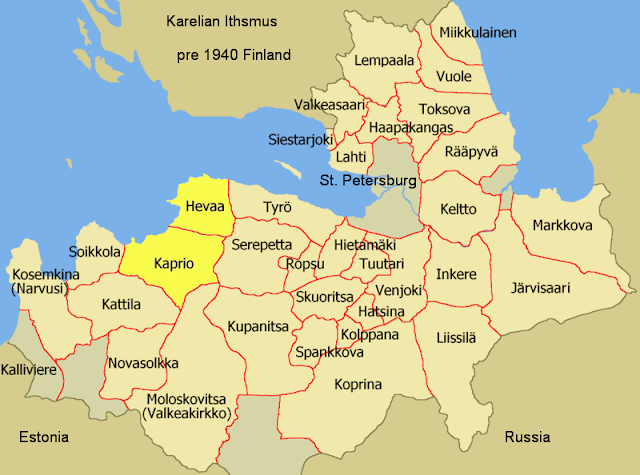 In 1444, Vincke von Overbeg of the Teutonic Order attacked Ingria, and in 1445 carried off 3,000 Votic people as spoils of war. He settled them in the Latvian town of Bauska in the province of Zemgale to serve as laborers to build his castle, and afterwards they settled as farmers in the area. 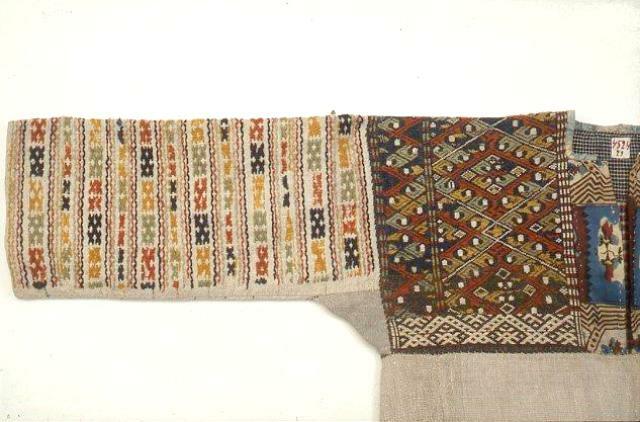 They managed to preserve their culture, language and costume for many centuries. The Latvian people in the area came to call them Krieviņi, or 'little Russians'. 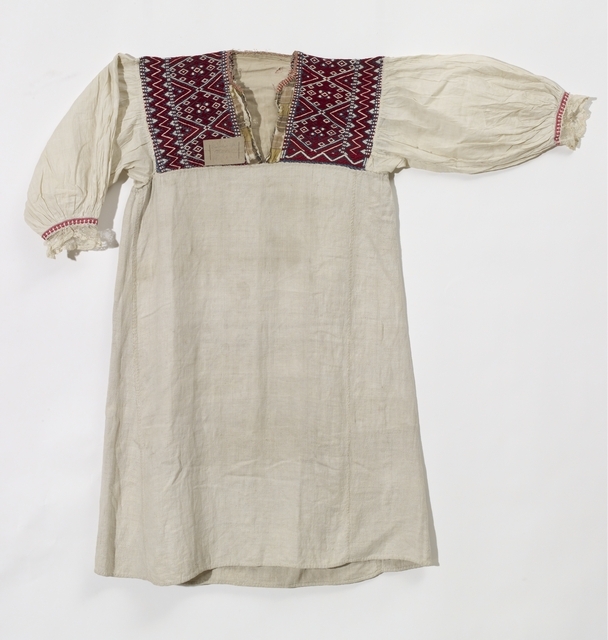 We have testimony to their existence and dress thanks to an expedition sent to the area headed by Anders Johan Sjögren in 1846. 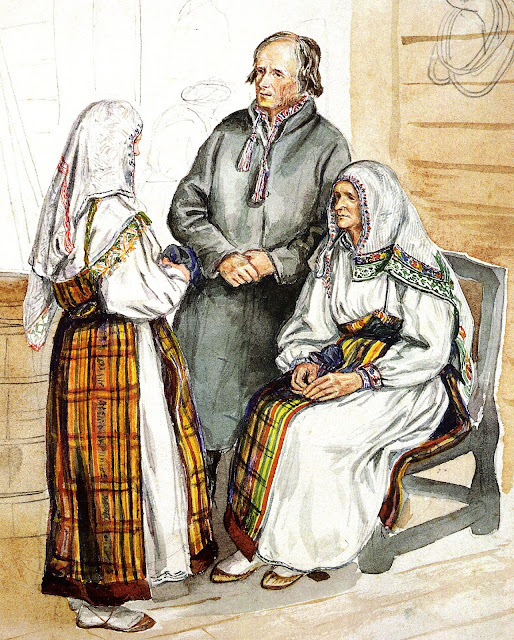 At this time the artist Georg Wilhelm Petzold made the above and other sketches of the Krieviņi which they met. 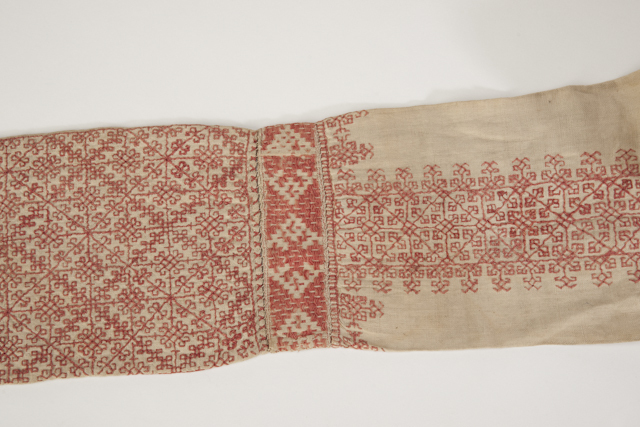 They had almost completely lost the language, but still held on to their native dress, which to some extent influenced that of their neighbors, especially in the silver jewelry which continues to be worn here and nowhere else in Latvia. 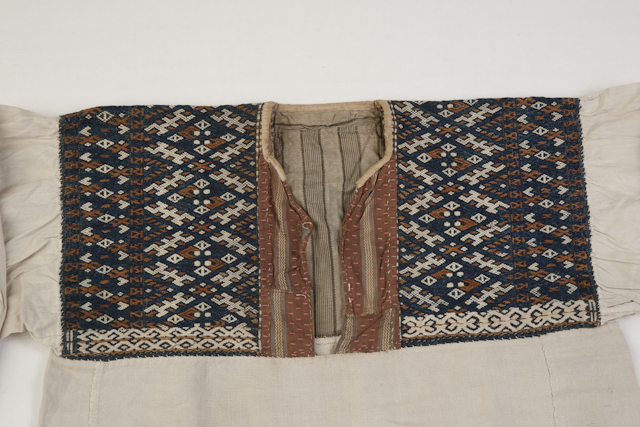 The men had more or less taken up Latvian dress, except for the shirts which had embroidered cuffs and collars. 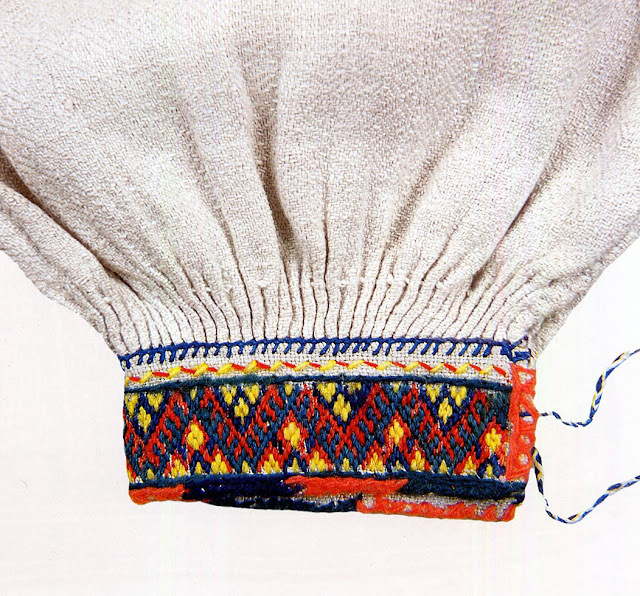 The women wore a long chemise with embroidery on cuff, collar and hem, and a headcloth called 'sappan', which you remember is a Votic term for an embroidered headdress. 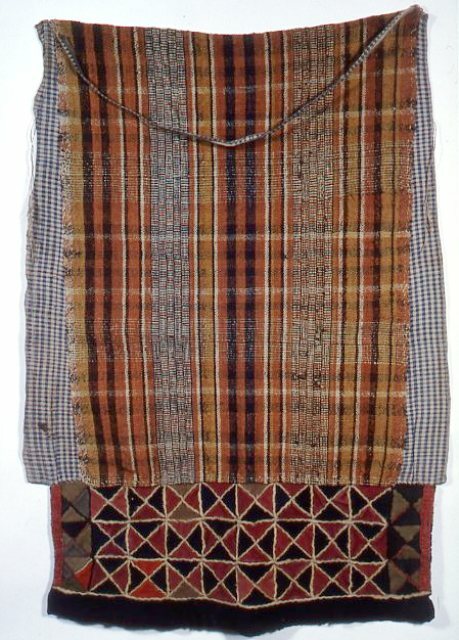 More uniquely, they wore a type of wrap-around skirt which was made of plaid cloth with a solid color cloth sewn onto the hem. 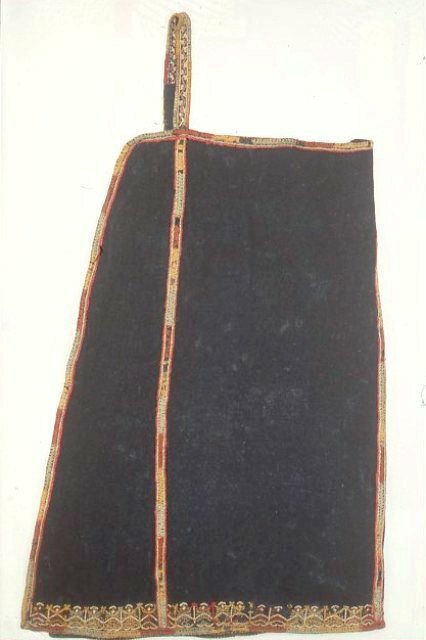 This skirt did not wrap around the waist, but rather around the uppper body, and was held on to the shoulder on the side with the opening with one strap, as you can see in the sketch above, and also in this one. 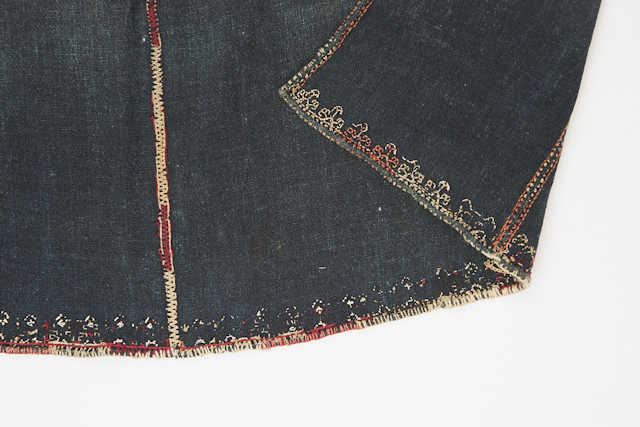 This skirt was then also belted at the waist. 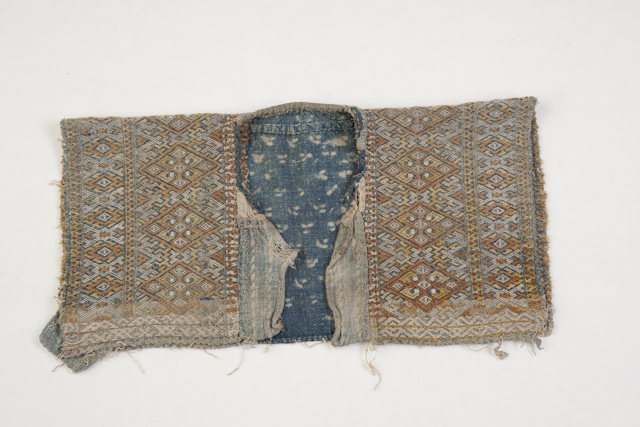 The artist is showing this 'skirt' worn wrapped around different sides by the girl and by the woman, but I do not think this can be trusted, he may just have been wanting to show that part of the chemise was left uncovered. 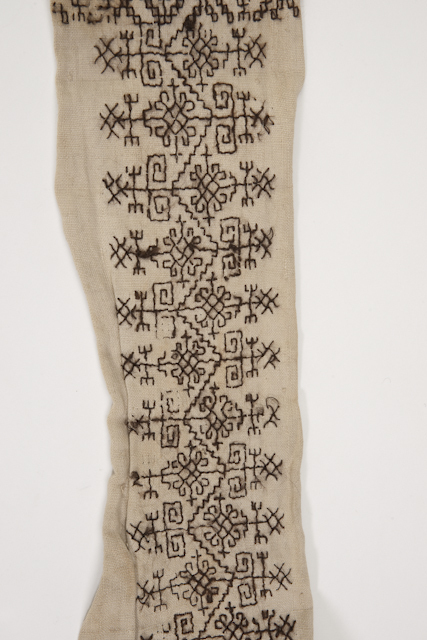 The Krieviņi have since been completely assimilated, but a couple of garments have been preserved in Museums. 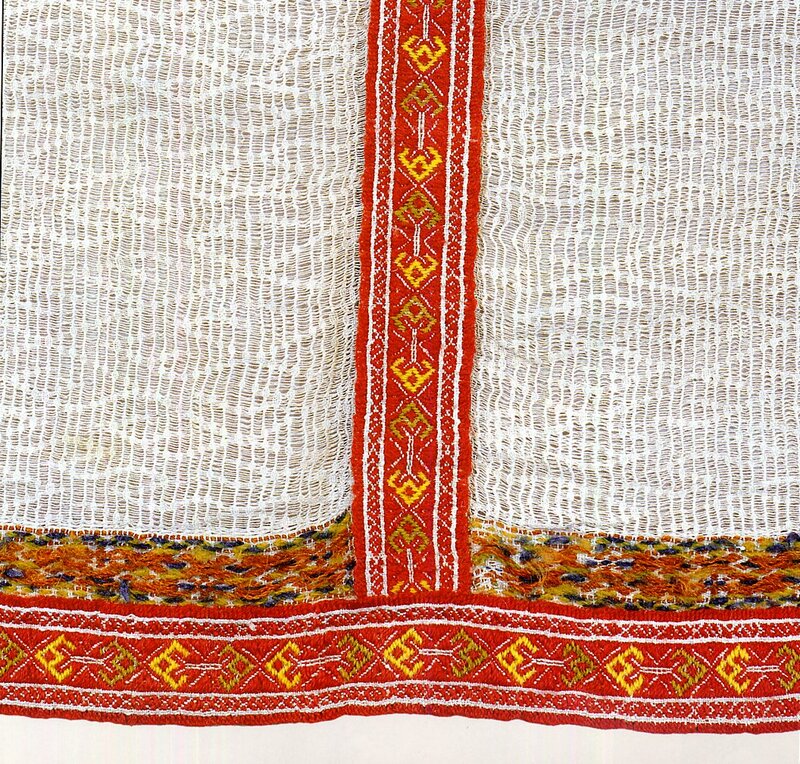 Here are some closeups of embroidery of shirts or chemises of the Krieviņi. 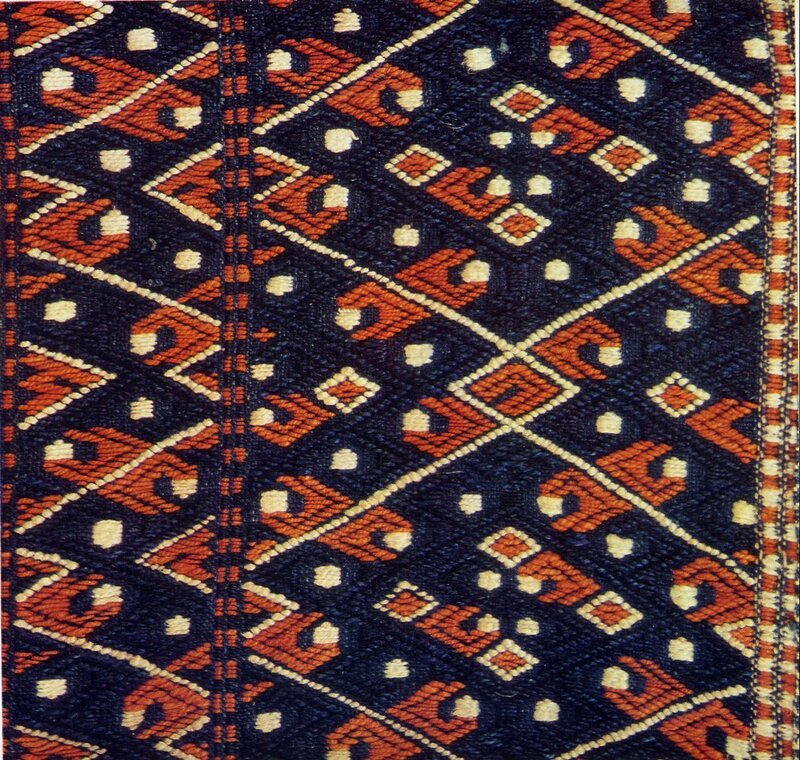 The embroidery is executed in Bargello or Brick stitch in the typically Latvian color scheme of red, yellow and green, or blue. 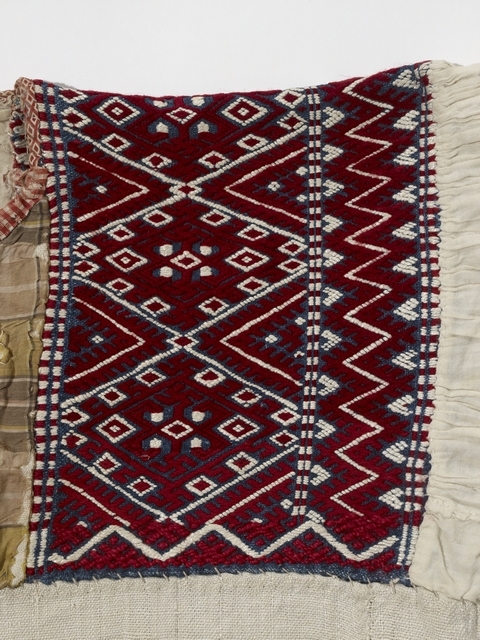 A couple of sappans are also preserved. 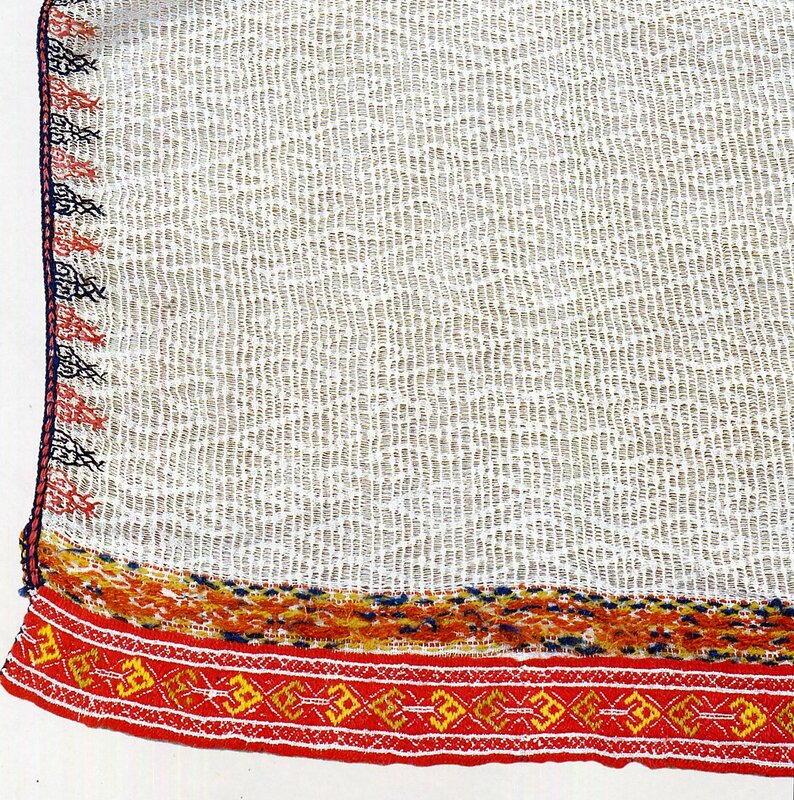 For more information about the Krieviņi, see this article. 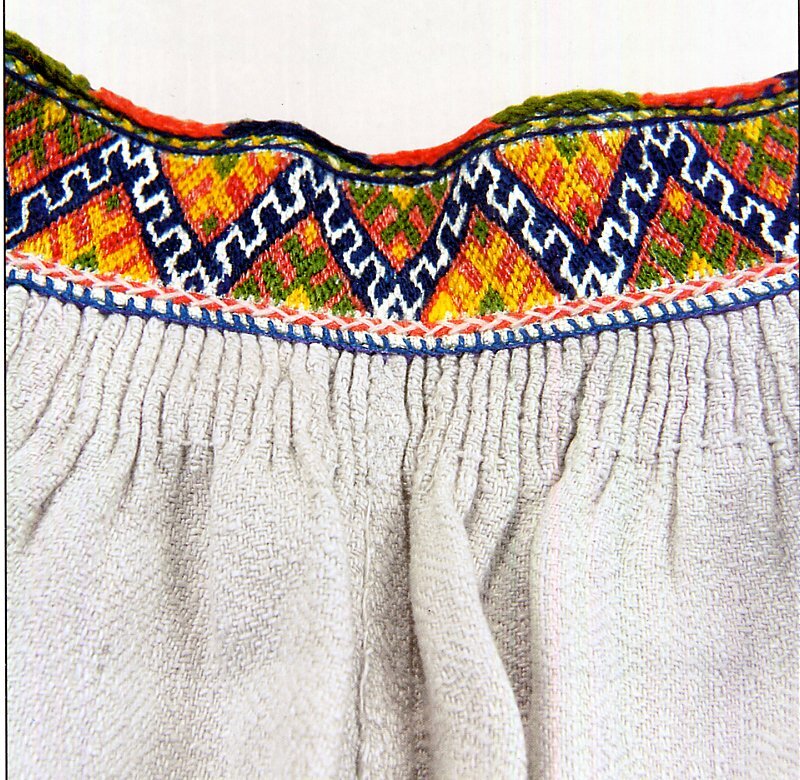 Skirts are generally considered to have developed from cloths wrapped around the waist. 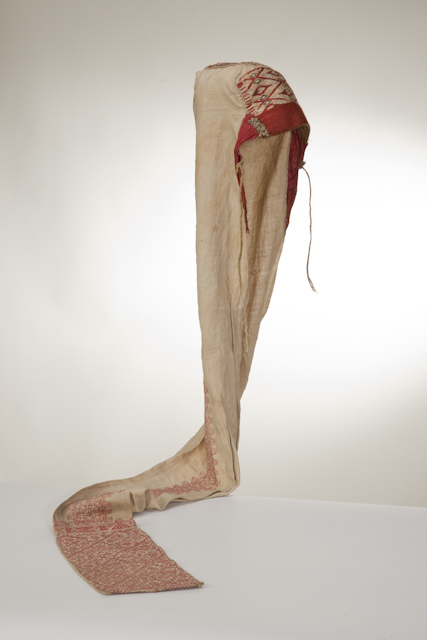 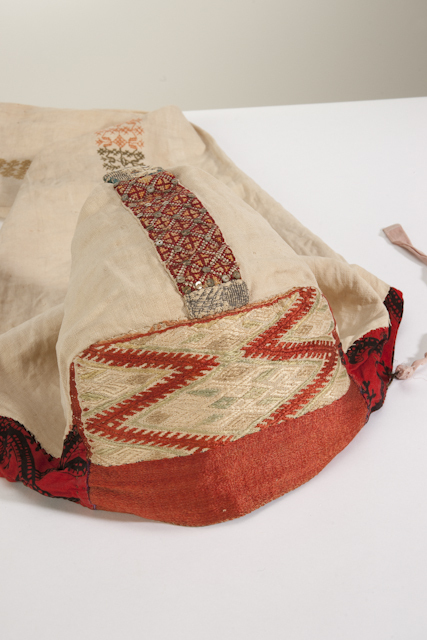 It is easy to see how this garment shown above could have developed into the sarafan, by being sewn shut, made fuller and having a second strap added. 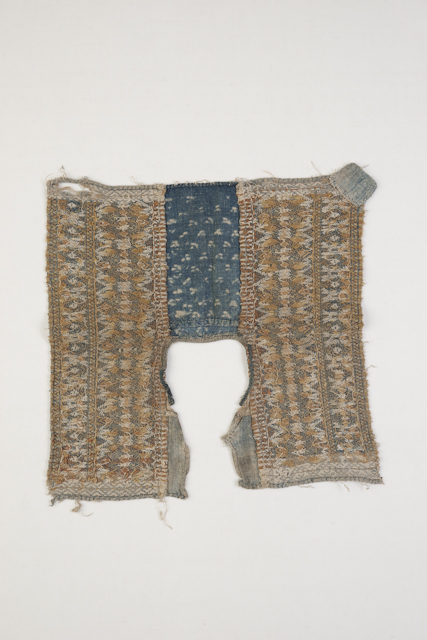 Interestingly enough, a very similar type of garment has been preserved in Ingria, in the district of Hevaa, and possibly Kaprio. 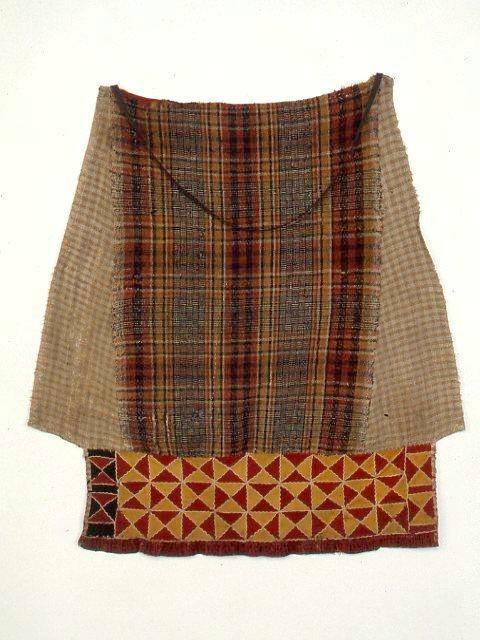 This also consists of a plaid skirt which wraps around the body and has one shoulder strap. 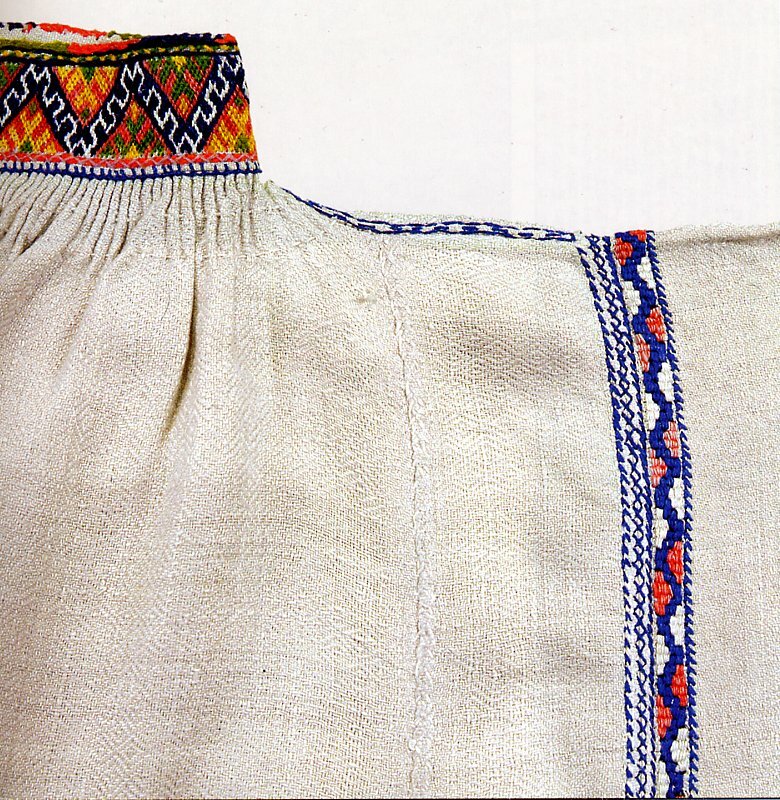 It differs from the garment recorded as worn by the Krieviņi in that side panels [also plaid] have been added so that the garment is not open on the side, and a patchwork panel has been added to the bottom hem above the solid band. 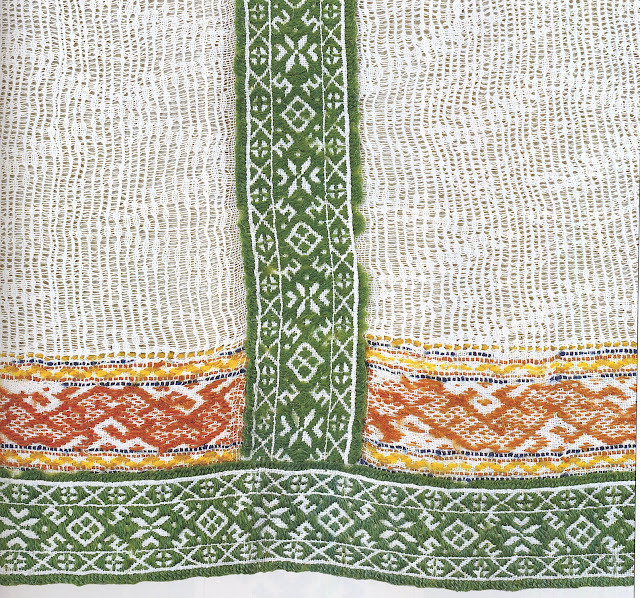 It is impossible to think that this garment does not have a common origin with those worn by the Krieviņi. 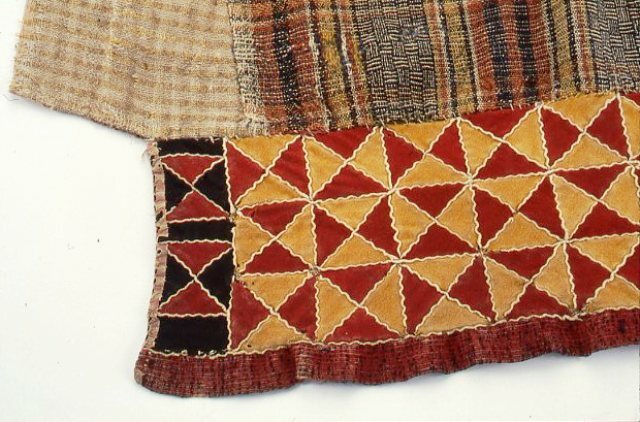 This must be a proto-sarafan. 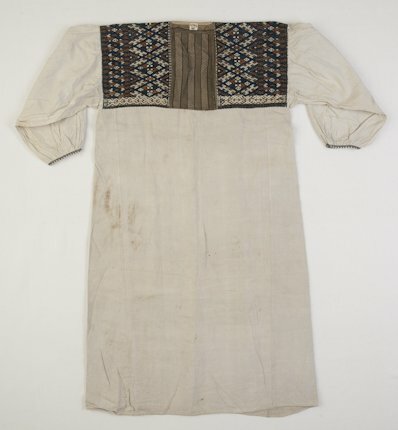 This garment is called 'hurstut'. 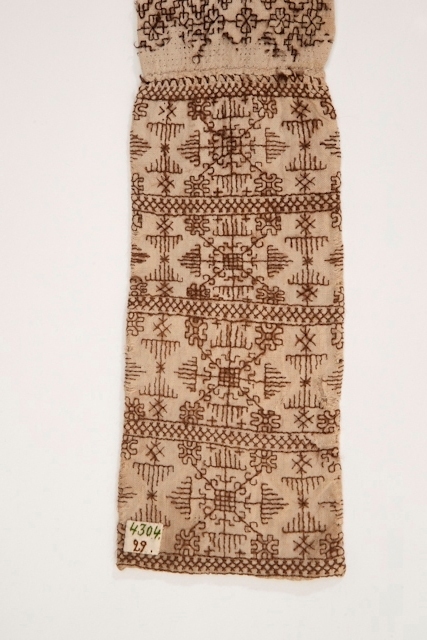 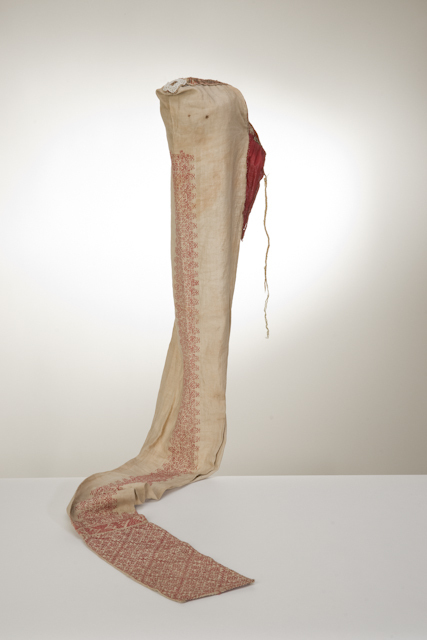 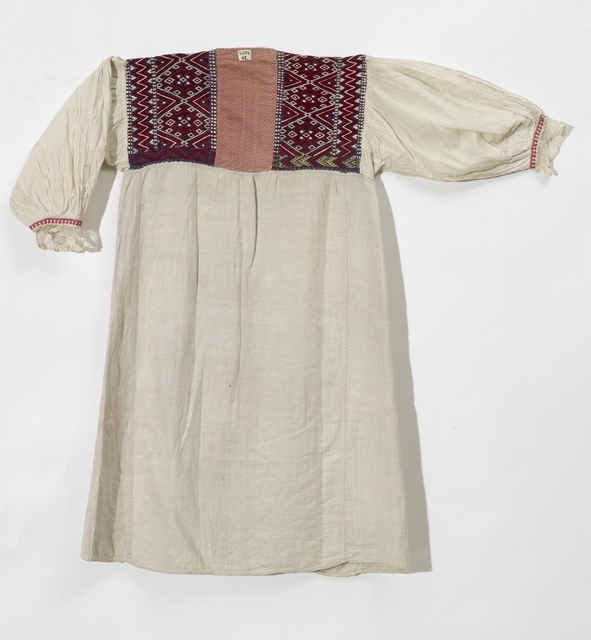 The Finnish Museum online has these garments listed as being Izhorian, but they must be of the same origin as the garments worn by the Krieviņi. 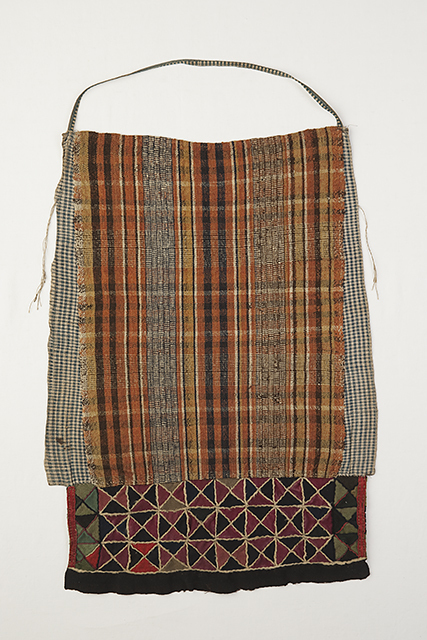 There are a couple of examples in the collection which are somewhat different, and they resemble a sarafan even more. 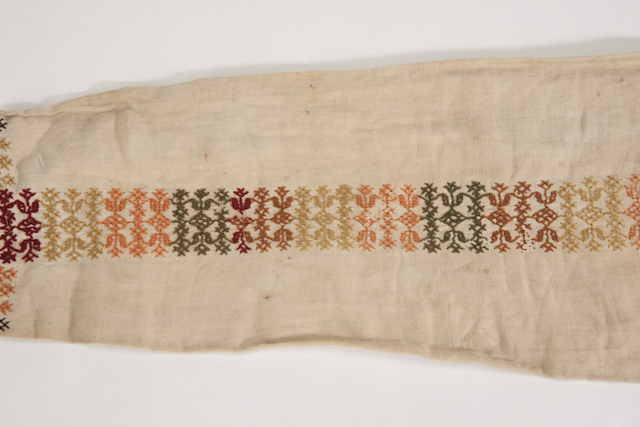 This one is shown folded over and ready to wear. 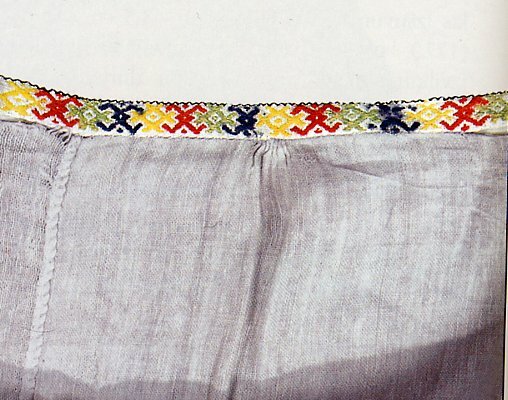 The chemise that is worn with this costume has the same cut as the ones which I covered in part 2. The difference is that the rectangular pieces over the shoulders are covered with embroidery of the same type as that which is on the double aprons. Here is an example, front, back, and detail of the embroidery. 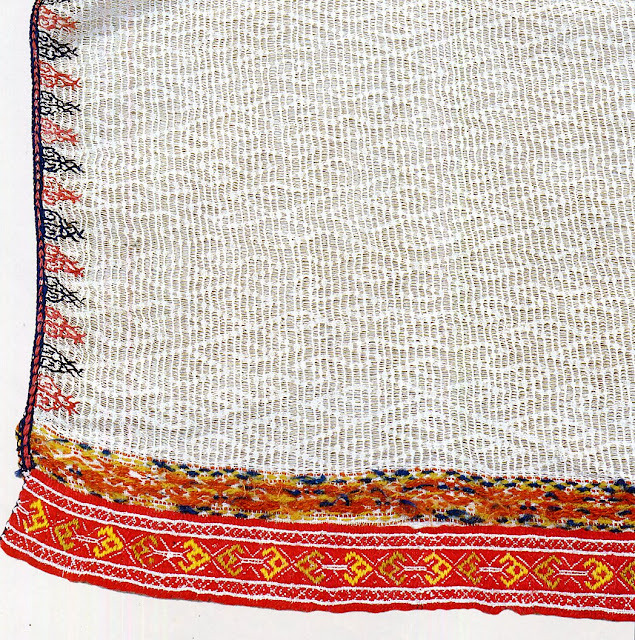 This is also the same stitch which is used on the Krieviņi chemises and shirts, although the colors are different. 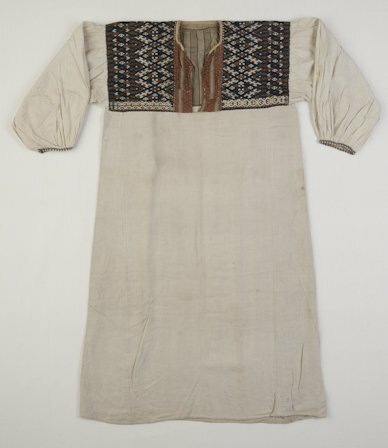 More evidence that these two costumes have a common origin. 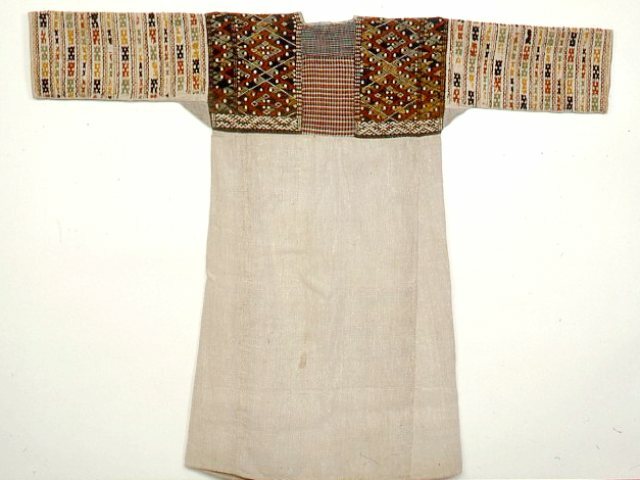 I have only been able to find one image of this costume being worn, and it is not very clear, but you can see the various pieces and how they are worn. 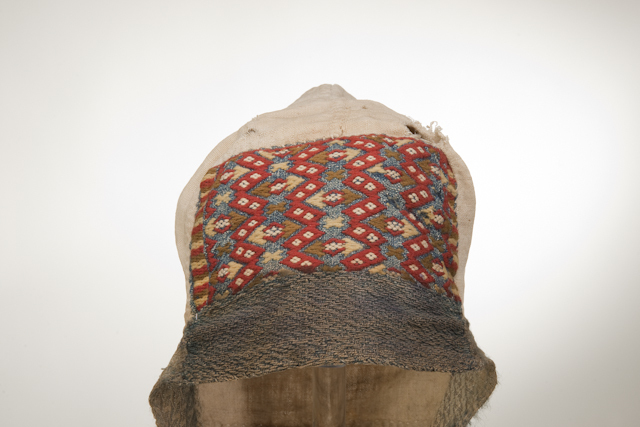 In this image she is wearing the dark plain colored hurstut. 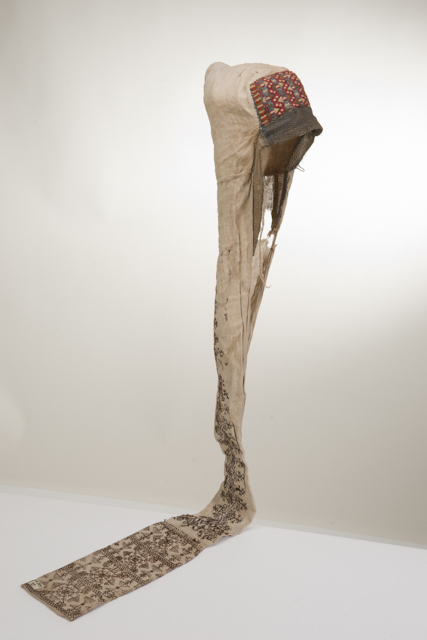 Thank you for reading, I hope you have found this interesting and inspiring. 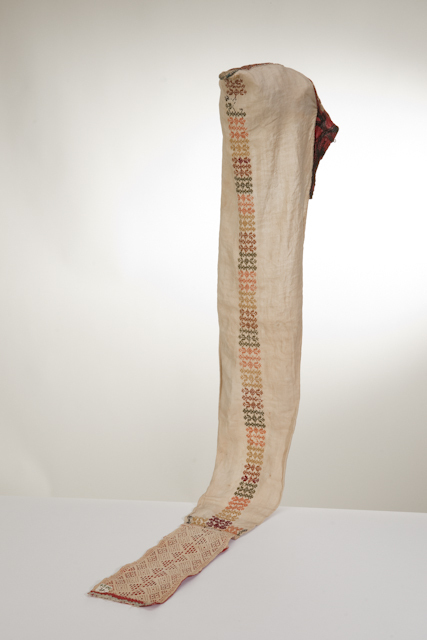 Make something of beauty for your house or wardrobe. 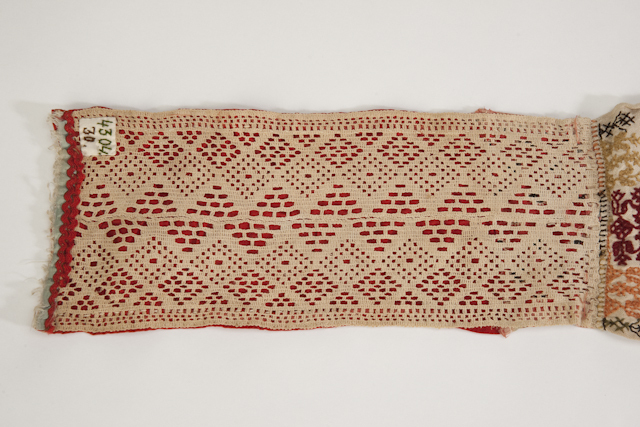 Most of this material is from the Finnish Museums Online website.